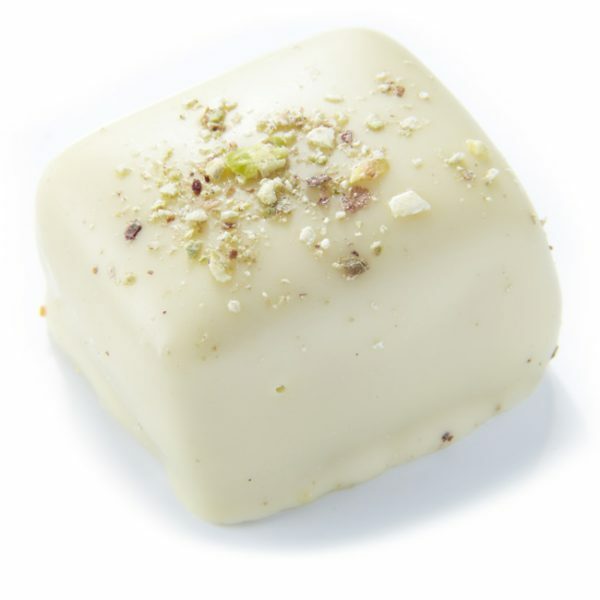 Fragrant pistachio marzipan coated in white chocolate and topped with green pistachio dust. Milk, Soya, Nuts (pistachios). May also contain traces of Gluten.